Tinselled designer gowns paraded on the red carpet at the Parliament building of a nation in crisis is seemingly a contentious issue. However, we can take a few minutes to appreciate the looks of attendees who rose to the occasion. 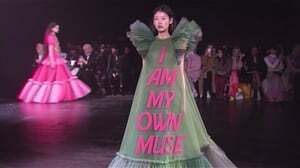 We predicted what we'd like to see our politicians wear to the State of the Nation Address, suggesting that local designers such as Thula Sindi, Sindiso Khumalo, Quiteria & George and Gert-Johan Coetzee dress our political figures. The red carpet is a complete watse of time and taxpayers money. How about "Dignity and Integrity" for a change ?????? We hear you and we're cringing with you. 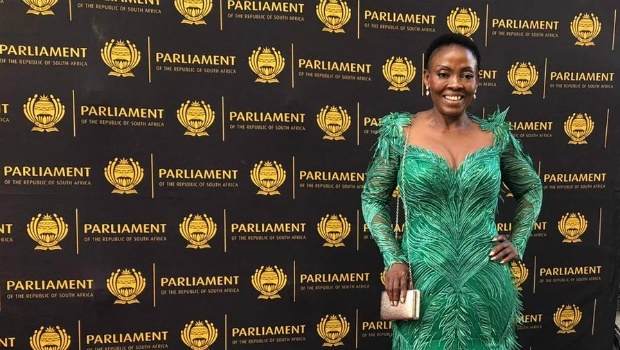 The Deputy Minister of Communications' emerald green gown is the 'GJC canary yellow dress' of 2019. A sure win. MEC Desbo Mohono and the Chairperson of the National Council of Provinces look rather print-cess like in their chic dresses. The Public Protector dazzled in a B Mashilo Designs gown. The Fab Academic lived up to her name in African print and a pretty pink hue. Coordinating in gold with her sister Qiniso. The ANC MP's glasses are an absolute vision. Pun intended. Minister Nathi Mthethwa's partner's dress in a flattering, standout orange dress. We love it. Making a bold statement in red.